Traveling to the Aloha State and interested in unique places to see in Hawaii? If so, here are some suggestions for you. Surfing is a fundamental way of life for many people in Hawaii. Nevertheless, witnessing an entire fence of surfboards is an unexpected surprise off the Kaupakalua Road on Maui. Back in 1990, the fence designer wired his modest board collection to his fence. He did this after hearing rumors of an impending hurricane’s approach. He then continued to expand the line of boards. So now, it is the longest fence of retired surf-boards, numbering nearly 600. Because the landmark has become popular, many people contribute by dropping off their old boards for the cause. The Vintage Cave in Honolulu is a restaurant of the most elite luxury. But it is also a elite club of exclusivity. Its chefs create artistic plates reflective of native Hawaiian dishes, plants and flavors. Visitors should check the menu’s prices before they make dinner reservations. This is because this restaurant’s meals begins at $295 per plate. Interested parties can also join The Vintage Cave’s club for membership fees beginning at $50,000. Unsurprisingly, this restaurant is the most exclusive venue in Hawaii. Snorkeling is always an exquisite way to explore underwater seascapes. And on the shores of Kapoho on the Big Island, some of the tide pools are geothermally heated. Since these tide pools can be incredibly warm, they cultivate a diverse population of marine plants and fish. The snorkeling area extends almost 200 yards into the ocean, creating a wide expanse to explore. For those who appreciate unique animals from all over the globe, this sanctuary on the Big Island is a must-see. By enjoying the educational activities and games, visitors can learn about a plethora of exotic animals. One of the most notable is Zoe the golden zebra who was born on the Hawaiian Islands. She has golden-blonde stripes, bright blue eyes and could be the only golden zebra in captivity. Other creatures you may find are leopard tortoises, pueos (Hawaiian owls), axolotls (Mexican salamander) and mongooses to name a few. This unusual Big Island winery is known for making their wine blends from the fermented juice of tropical fruits, honey, nuts and grapes. They have other creative blends including, the guava wine, jaboticaba berry and grape wine, as well as macadamia nut wine. They also sell other features such as beautifully carved wine holders, wooden coasters, salt boxes and Volcano Winery glasses. The winery is open every day and charges a minimal fee of $5 to $8. This family owned bee-keeping farm produces some delicious Hawaiian honey which visitors and locals alike would do well to experience. With over 190 million bees on the property, the Big Island Bees Company makes raw honey from flora like macadamia nuts, wilelaiki blossoms and white ohia lehua, to name a few. In addition to this, they have a body care line made from honey and bee products, beekeeping tours and a free on-site museum where you might catch a glimpse of ornately carved beehive sculptures. Located in the town of Paia, off the Hana Highway, visitors can add this stop to their winding road travel. The Maui Crafts Guild is the only gallery exclusively selling crafts and creations from Maui artists. Shoppers can also enjoy seeing anything from hand-made paper, ceramics, wooden sculptures, prints and mixed media to jewelry, pottery, baskets, kimonos, beads, wall hangings and bowls. 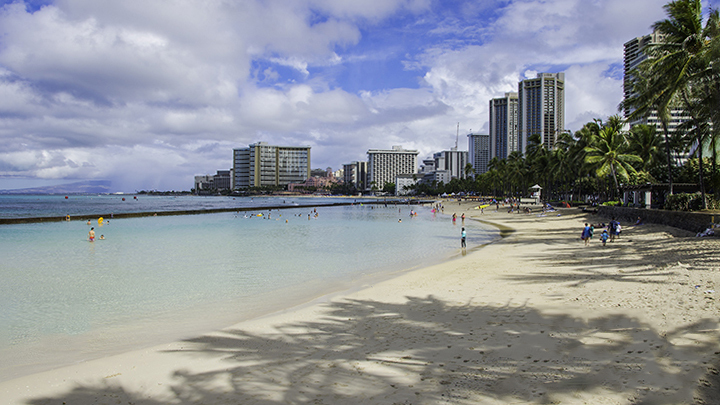 Many of the items are inexpensive, making them perfect souvenirs of your vacation to Hawaii.